The scale and scope of the 2177 km Gulf Cooperation Council (GCC) rail network is truly breathtaking and it is, as a single project, far larger and more ambitious than anything seen in Europe. With the detailed engineering and design work for the next sections planned to be completed this year the need to consider how emergency response to the proposed rail network will take place is an area for much scoping and planning. Whilst there are many differences in rail and tunnel systems across the world, there are lessons that can be learnt from incidents on the rail networks in Europe. There are many lessons that have been identified as a result of past tunnel and high speed rail incidents. Particularly relevant are those related to pre-planning and incident management and these could inform the project planning process for the GCC rail network response arrangements. Being an island, Great Britain had not, in the past, had much experience of managing cross-border incidents, let alone those that related to its transport infrastructure. This all changed back in 1994 with the completion of the Channel Tunnel, the first fixed rail link between Great Britain and France. 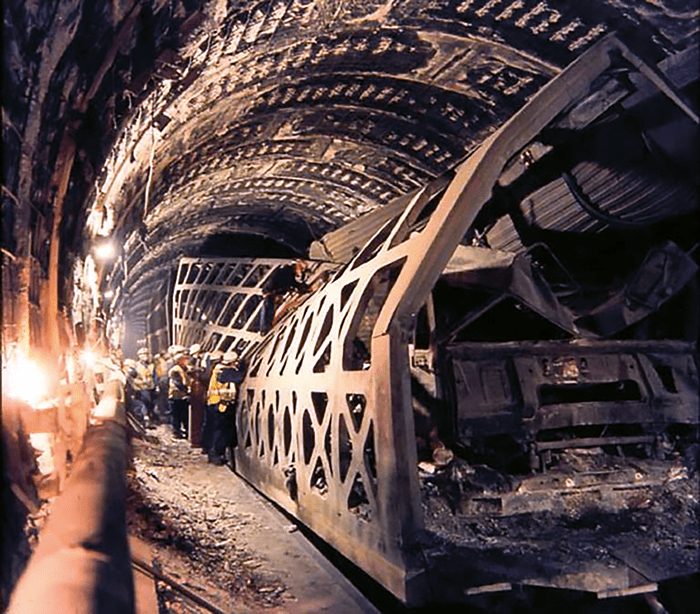 In 2007 the completion of the associated High Speed 1, which links the Channel Tunnel with London, and includes three tunnel sections, and spans three separate fire and rescue services, added to the incident management requirements. Temperatures reached in the region of 1,000 C.
There have been four major fires in the Channel Tunnel; all have resulted in considerable damage and closed sections of the tunnel for many months. The fires in 1996, 2006, 2008 and 2012 occurred on-board the HGV carrying shuttles. Official investigations, which followed all of these fires, highlighted the difficulties of fighting fires, some many miles inside the tunnel system, and the difficulties of managing such incidents across national boundaries. The fire in 2008 was the largest, lasting for six hours and reaching temperatures of 1000°C and as one of the senior officers managing the incident on the UK side it was very helpful to be able to apply the lessons learnt in 1996 and 2006 to the management of operations. It is not only fires that have affected the tunnel system. On a number of occasions, and most notably in 2014 and 2009, mass evacuation of passengers, from stranded trains has been necessary from within the tunnel system. These incidents highlighted how quickly the conditions on-board trains can deteriorate should ventilation and air condition systems not be operative and the number of staff required to manage a successful and safe evacuation. Pre-planning is a key element for response to any transport system and in the case of the Channel Tunnel much time and effort was put into preparing the Bi-National Plan which was developed before the tunnel system was operational. What assisted the planning process was the scoping of scenarios, based on experience and research, and the testing of those scenarios through modelling, and most importantly, actual exercises. The Bi-National Plan has constantly been updated over the past 20 years based on the outcomes of these exercises, changes in the tunnel design and operation, and the outcomes of incident investigations. 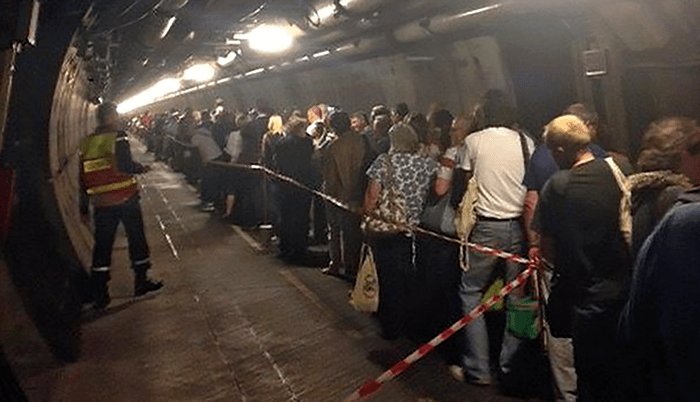 Mass evacuation in tunnels requires considerable planning. Who is in charge? What would seem to be a simple question can prove to be more complicated, especially where transport systems cross national boundaries. In the case of the Channel Tunnel there is a fixed point; at the mid-point between the two countries, at which national primacy changes. What proved to be more complicated, and needed to be included in the planning process, were the arrangements should one nation’s resources be the first to arrive at an incident in another country’s area. Details are contained within the Bi-National Plan on this scenario and the plan also includes legal responsibilities and the arrangements for summoning assistance from neighbouring fire and rescue services both sides of the tunnel. Fire and rescue services across the world face the same operational issues, however, the way in which they train, equip and respond is substantially different. Add to this the fact that language and terminology may vary you have a mixture for confusion. The issue of joint operational response required considerable time and planning so that the UK and French fire and rescue services could operate effectively and safely at incident. The original plan was to consider aligning equipment and procedures, however, after considerable scoping it was deemed that it would not be possible and a command and control system was developed to ensure safe joint operational response. and earthing at the site of any incident.